This Friday, I drove back to my hometown in Queens to visit my family. The last time I was there was for my grandfather’s funeral in 2010, it’s been over 3 years. Far Rockaway is a unique place because it is surrounded by water; there’s a bay on one side, and the ocean on the other. Not to mention, it is so culturally diverse, truly one of NY’s most underrated places. You could imagine this left the Rockaways very vulnerable to hurricane Sandy. In fact, large parts of the peninsula were devastated. The train still isn’t running out there, as boats wound up on the tracks, completely destroying the rails in some areas. This isn’t surprising, the train ride into the city is a little scary because you’re literally surrounded by water, and are at times very close to it. Being that we are the last stop on the MTA, it’s also unsurprising that service hasn’t been restored yet. Of course, growing up, I didn’t realize how rare this was, or that everyone didn’t have the beach for their back yard. I thought everyone was fortunate enough to spend summers riding their bikes on the boardwalk, chewing on sugar cane, watching the fireworks from the roof of their cars. Hard to imagine there are some people who never get to see the ocean. I was expecting to see some of that devastation on this visit, but I found something very different. For starters, the drive was so amazingly beautiful. The route took me across Staten Island, into Coney Island, and finally into Rockaway. Man oh man, people everywhere were so happy, I saw people riding bikes, fishing, roller blading, someone was even flying a kite. Could it get any better than that? Riding through the marina, watching all of the boats. 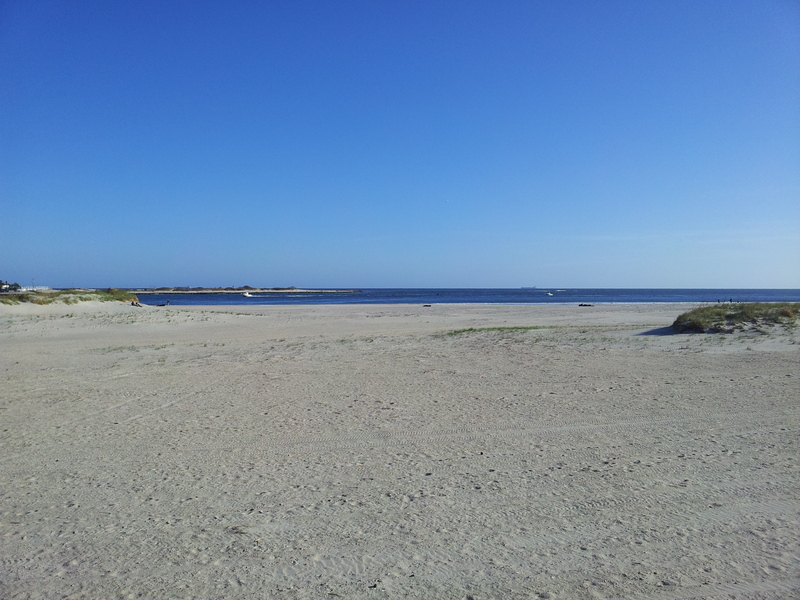 The sand is the sidewalk and the breeze brings in the smell of the sea. Driving down Beach Channel drive, I passed the house where I lived when I was born, on Beach 69th street. Next time I’ll stop and take pictures but I could see it from the main street, followed by the park my dad would always take me to. I saw people playing tennis and children running on the playground. For a moment I felt like the place was frozen in time, or that I was time travelling, but it wasn’t long before I saw the abandoned storefronts and construction zones. Things are changing, still everything felt so peaceful. My dad and I went down to the beach to get a look at things. He hadn’t been since his return to New York. Here are some photos I snapped. 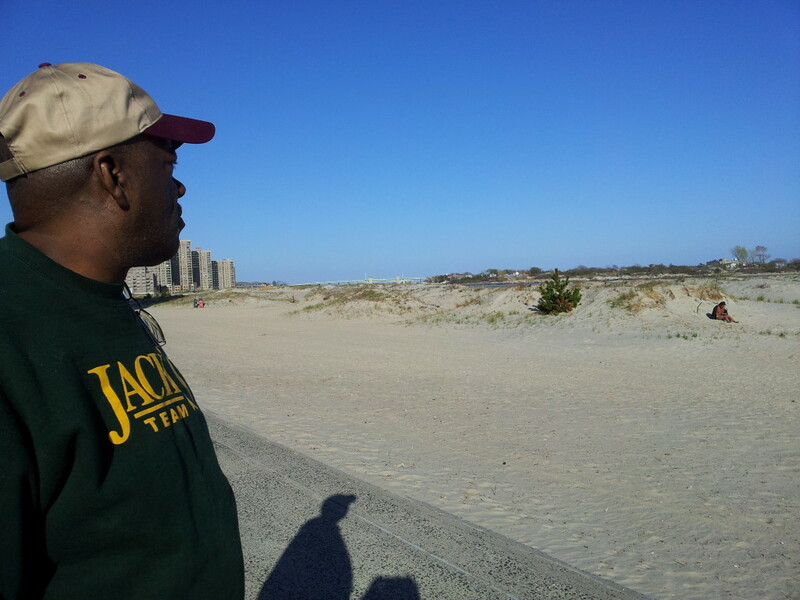 My dad talking about the sand dunes, and the water levels during Sandy. 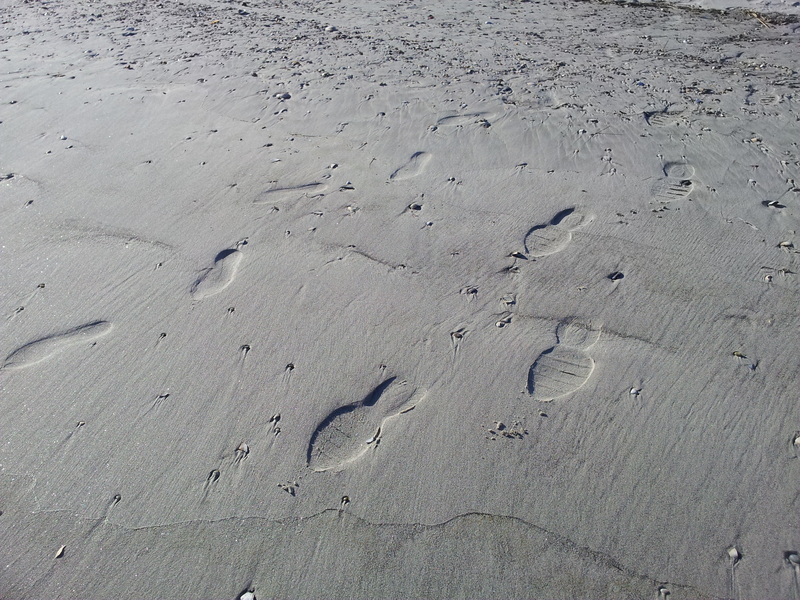 Our foot prints, and the thousands of shells…I remember them well. It’s quite remarkable. My story started long before I was born, and it would be an understatement to say that beaches are significant in my life. 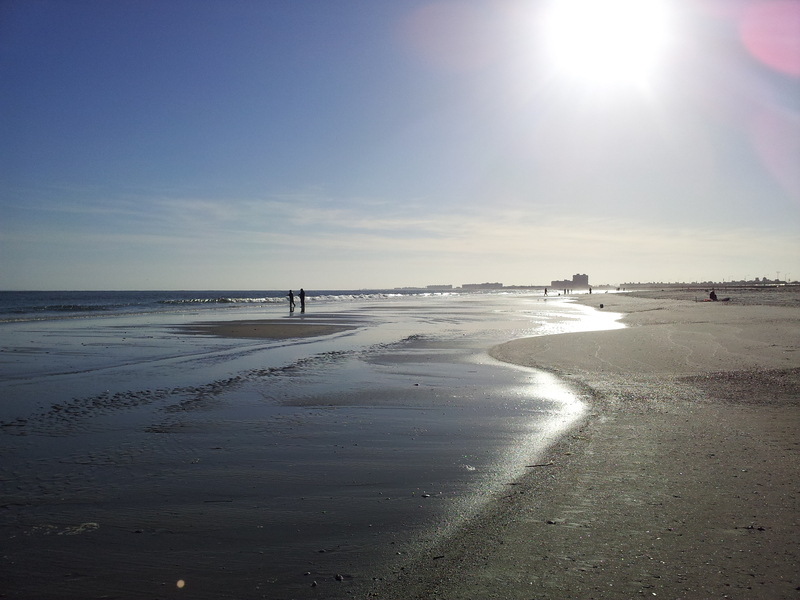 I already have plans to revisit the beach with my father, we’ll trek down the boardwalk, and hopefully go fishing, one of our favorite pastimes. Meanwhile on my drive back to Philly, I saw dozens of people night fishing along Beach Channel Drive…so many fond memories, and I was so happy to see everyone, especially my family, happy and well. My life makes so much more sense…I guess that’s what the water gave me, the water, and the fresh air, a reinvigorated sense of self and purpose. I come from an incredible lineage,I am blessed beyond measure and I am destined for greatness. One other more recent thing that finally makes sense is my obsession with oranges. I was talking with my grandmother aka, Fox, aka Grandma. I brought an orange with me to eat, and she explained that she doesn’t eat oranges much anymore because she ate so many when she was pregnant with my father (whose nickname is Fruit). She said she would eat two at a time, which I have found myself doing for the past month or so. I’m seriously addicted, I’m actually going to have one right now.